The latest round in Nitish Kumar’s bid to set things right in law and order front is the revival of the almost forgotten “bad livelihood project” under Section 110 of the CrPc which empowers the SDM in respective areas to convene Jan Adalat (public courts) for open trial of criminals. Flaying the ruling Samajwadi Party leaders for using objectionable language over the phone tapping issue, the Uttar Pradesh Congress today demanded that the conversation between SP MP Amar Singh and others, that was allegedly tapped, should be made public. Joining the opposition leaders, bandwagon former Andhra Pradesh Chief Minister N. Chandrababu Naidu today alleged that his telephone too was being tapped and demanded an impartial inquiry into the entire issue. 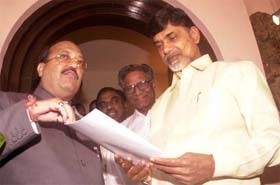 Samajwadi Party general secretary Amar Singh with Telugu Desam Party supremo N Chandra Babu Naidu in Hyderabad on Sunday. Union Finance Minister P. Chidambaram said US President George W. Bush, realising that India would emerge as a great economic power in the near future, had asked Americans to learn Hindi. The British Government plans to introduce by 2010 a system based on points for evaluating visa applications. Visiting Permanent Under Secretary of State in charge of UK visas, migration policy and Consular policy, Lord Triesman of Tottenham told TNS that the programme of a point-based system was planned over a five-year slot in 2005. The Hurriyat Conference has urged the Centre to show flexibility in resolving the vexed Kashmir issue and called for immediate demilitarisation in the state, saying peace can not be restored in a heavily militarised environment. The controversy surrounding Gudiya’s life has not ended even after her death, with the two husbands — Arif and Taufeeq — now fighting for the custody of her infant son. Yoga expert Swami Ramdev has said medicines in his Divya Yog Pharmacy, Hardwar, were manufactured according to international standards and ingredients were mentioned in case of all patented medicines. Swami Ramdev, who is involved in a controversy following an allegation by CPM MP Brinda Karat, today received support from NCP chief Sharad Pawar who said he “appreciated” the work done (by Ramdev baba) to propagate yoga in a “scientific way”. The ruling NDA in Bihar has taken strong exception to the rejection of the state’s proposed tableau depicting “Chhath” festival for the Republic Day parade in New Delhi by the Defence Ministry, the nodal agency for the function. The ruling Congress today launched its election campaign in Assam assuring the minority community that all protection would be provided despite the scrapping of the Illegal Migrants (Determination by Tribunal) Act by the Supreme Court. Sri Lankan Tamil MP and president of the Upcountry Peoples Front,Mr P. Chandrasekaran, has urged India to directly involve itself in the Sri Lankan Tamils’ issue to find a peaceful solution to the vexed ethnic crisis. Some religious schools double up as shelter places for terrorists in Bangladesh, which has been a traditional transit route to Pakistan for them since 1995, revealed one of the conspirators of the IC-814 hijacking. Expressing concern over the “steep decline” in values, Vice-President Bhairon Singh Shekhawat has urged the youth to imbibe qualities like honesty, integrity, decency and humility. India is not only asking its citizens to treat guests like gods, but also wants them to open their homes to tourists to overcome the shortage of hotel rooms in the country. Attorney-General Milon Banerjee has joined an illustrious club of jurists from India and abroad to be conferred the Honorary Bencher of Lincoln’s Inn in London, a prestigious and oldest body of jurists established 600 years ago. The Centre is considering amendments to the Banking Regulation Act, RBI Act and the NABARD Act apart from giving a composite financial package to revive ailing credit cooperative societies. Veteran Marathi poet Vinda Karandikar has been chosen for the prestigious 39th Jnanpith Award. The selection board, headed by Mr L.M. Singhvi, which met yesterday, decided to confer the award on 87-year-old Karandikar. A 72-year-old German woman was found murdered in her flat at the Koregaon Park area in the city last night, the police said. The body of Dr Gudarun Koravinos, who was done to death, probably a few days ago, was found with her head missing, the police said. The Justice G.C Garg Commission of Inquiry, looking into the police lathi-charge on Honda workers in Gurgaon in Haryana, held its hearing here today. The workers' counsel moved an application urging that the depositions of the government witnesses should be recorded first on which Justice Garg reserved his decision till January 16. Hari Prasad Chaurasia mesmerises audience at Banganga festival. Disney stars perform in Mumbai. German Shepherd competition in Chennai. Nominees announced for second Apsara Awards. With over 40 killings and about 15 abduction related cases reported in the past one and a half months of the tenure of the NDA, Nitish Kumar is leaving no stone unturned to establish the rule of law promised by him in the state within three months. Sources in the police admit that extortions, abductions and related crimes have virtually emerged as “cottage industries” in the past 15 years in the state with a good number of unemployed youths getting lured to the same for quick bucks due to the lack of any economic development in the state. The police also regret the alleged political interference to their act and political patronage to the criminals, which had further caused the deterioration in all these years. “The rot has set in and it will take little more time to weed out the bad elements,” the sources said. To begin his initiative by involving people to establish the rule of law through “bad livelihood project,” which amounts to social indictment of criminals too with their trial in Jan Adalat, Nitish Kumar has chosen his home district Nalanda as a trailblazer for the same. This act was originally the brainchild of the erstwhile British Raj. According to the SP, Nalanda, Mr Amit Kumar, the first such adalat was organised at Amberchak near Bihar Sharif under Nalanda district on January 5 in presence of over 1,000 people where four accused were summoned for trials. The project includes open trials for dacoity, gambling, extortion, abduction, use of muscle power and money in elections, land grabbing and the likes. Dibakar Singh, Jitendra Singh, Dhananjay Singh and Sambhu Yadav are some of the known criminals of Nalanda who were summoned before the court. The SP describes the first adalat as a humble beginning as the people are yet to gain confidence for raising their voice against these criminals in public for the fear of reprisal. The third and fourth adalats are slated to be held in Nalanda in the first phase on January 9 and 10. Mr Kumar also informed that if the criminals defied the summons, the court could issue arrest warrants against them. It is also learnt that the Chief Minister has planned Jan Adalats in all 38 districts of the state in phases as he reportedly felt that such open trial would also enable the people in general to overcome the fear psychosis related with the names of these dreaded criminals. “People have all the right to know the activities, private or public, of their representatives,” claimed UP Congress President Salman Khurshid here. Addressing a press conference, Mr Khurshid slammed the SP leaders, including UP CM Mulayam Singh Yadav and Rajya Sabha MP Amar Singh, for using “abusive” language to defend themselves in the phone tapping case. He also made it clear that the UPA Government at the Centre had nothing to do with the case. “A probe was already underway and some people have been arrested in this connection,” he added. The Congress leader said just as the candidates contesting elections had to give all details pertaining to their properties or criminal history, similarly nothing was private in the life of political leaders. “In the USA also the political leaders have to face several charges which are extremely private,” he added. Commenting on the Zila Panchayat chairmen elections held yesterday in which the ruling SP supported candidates won the maximum posts, the UP Congress president said everyone knew about the results beforehand as all norms were broken by candidates to win the elections. “Now we have to see, how the SP wins the Assembly poll with the help of the officials,” he said. “I am of the firm opinion that Mulayam has always rigged the poll which forced him to change his constitutuency frequently,” the Congress leader alleged. However, Uttar Pradesh Chief Minister Mulayam Singh Yadav today accused the Congress of hatching a conspiracy against the ruling Samajwadi Party, by tapping the phones of its prominent leader and said the struggle on the issue would continue till the end. Addressing the youth wings of the party here, Mr Yadav said the phone tapping issue was not only against party MP Amar Singh, but the entire party. “I suspect that my telephone too was being tapped for the past one year and I will come out in the open when I get some proof like Samajwadi Party leader Amar Singh did,” Mr Naidu told reporters after meeting Mr Amar Singh at his residence. Since the matter was raised by many opposition leaders, I demand that an impartial inquiry should be ordered to bring forth the facts and clear the apprehensions, he added. The Delhi police today conducted raids at several places in Haryana in connection with the alleged phone tapping of Samajwadi Party leader Amar Singh. A senior police official, while confirming the raids, said raids had been on for some time. The raids follow the arrest of three accused in the case. “Even China is impressed with the economic growth in India”, he said in his address at the ongoing fourth Pravasi Bharatiya Divas last night, noting that “it is within the capacity of India to emerge as economic power house. “I want every Indian within and outside the country to believe that India can do it”, he said. The US National Intelligence Council had gone on record as saying that the 21st century belongs to India and China in the same way as the last century belonged to the USA, the Finance Minister said. Urging the overseas Indians to join hands to realise the country’s potential, he visualised that India would become prosperous and conquer poverty as against the present situation of 25 per cent of the populace living in abject poverty earning less than one dollar a day. Launching the online e-remittance system developed jointly by the Overseas Indian Affairs Ministry and UTI Bank, Mr Chidambaram informed the non-resident Indians that the space for private investors had been enlarged. Citing the opening up of various key sectors, including telecommunications, airports, railways, sea ports and roads, he underlined the need for public private partnership with the government providing the land and other infrastructure and private players taking care of building and maintenance of such infrastructure projects. Indian Infrastructure Finance Limited had been created to provide low cost debt funding for infrastructure projects, as also “Viability Gap Funding” mechanism created to make projects which otherwise would not be viable, he said. The Congress-led government was firmly committed to fiscal prudence, controlling fiscal deficit, raising taxes, liberalising trade with external economies and invest in key social sectors, including health and education, the Finance Minister said. The British Government plans to introduce by 2010 a system based on points for evaluating visa applications. Visiting Permanent Under Secretary of State in charge of UK visas, migration policy and Consular policy, Lord Triesman of Tottenham told TNS that the programme of a point-based system was planned over a five-year slot in 2005. He said the system would apply to absolutely every country and would be fully effective in 2010. At the same time, he said, there was a willingness to see if part of the programme could be executed faster. He clarified that points would be awarded on the basis of an agreed system at the time of application on the basis of the information provided. The system of points is aimed at encouraging people who have the capacity to achieve enough points to become either permanent residents or long-term residents in the UK. The changes that the UK intends to bring about in its visa will be keenly watched in India. According to the British High Commission here, the percentage increase in the number of visa applications from India in recent years has been in the range of 15 per cent. The UK sees the system as one that would inspire confidence of the visa applicants as well as the British Government. “We want a really good and strong immigration policy. We are very determined that it should be a fair system and that everyone should play by the rule because that is the way we understand the world. Firstly, we have to make sure that coming to the UK to study, to visit family, to see the UK, to do business with the UK is as easy and attractive as we can make it,” he said. Lord David Triesman further said they would “prioritise in points terms people who bring skills, knowledge and India now of course is a good engine of IT (information technology), people who come with dynamic business ideas, people who come as legitimate students”. He said that the system was new for the UK but it would give them a lot of confidence as well as to those who want to come. The system would cover students, work permit holders and highly successful people. The system will enable visa applicants find out whether they are likely applicants online. “If the Centre really means business it should not hesitate to move beyond the over-stretched debate on cross-border terrorism and human rights violations. We can not strike peace amidst a heavily militarised environment. Hence, our demand for demilitarisation,’’ Hurriyat Chairman Mirwaiz Umer Farooq said here after a week-long tour of quake-hit areas of Pakistan and Pakistan-occupied Kashmir (PoK). He said demilitarisation could be a gradual process and would help consolidate the gains of the peace process. The moderate Hurriyat Chairman, who discussed demilitarisation and self-governance with Pakistan President Pervez Musharraf in Islamabad, said the proposals were made for both parts of Kashmir as confidence-building measures and not the final solution. “I wonder why these proposals are being mistaken for autonomy within the Indian Constitution. These measures will just be for confidence building and not final solution,’’ the Mirwaiz, who led a three-member delegation to Pakistan and Pok, said. The Centre's interlocutor on Jammu and Kashmir, Mr N.N. Vohra, yesterday met state Chief Minister Ghulam Nabi Azad and discussed the situation in the state. The progress in the dialogue process with separatist groups also came up for discussion, sources said. Mr Azad has asked the security forces to act in a manner that human rights violations do not take place. Both Arif and Taufeeq had staked claim for the custody of a one- -year-old Mateen after Gudiya’s death on January 5 and now all eyes are on the cleric who will put a decisive seal on the infant’s fate. Media reports, however, claimed that a section of the clerics in Deoband had issued a ‘Fatwa’ (edict) yesterday ordering that Mateen be handed over to Taufeeq, his biological father. But sources at Deoband have refused to confirm the edict on the issue. “The issue is serious and we do not want to create yet another controversy,” they said. The first husband of Gudiya, Arif, who looked after Mateen when his wife was admitted to the Army Hospital in New Delhi is planning to take the matter to the community panchayat to secure the custody of the child. Meanwhile, Taufeeq’s family was also keen on getting the custody of the child — they have an edge according to the Shariat as Taufeeq is Mateen’s biological father. “There is nothing left for me and I want our only child to be with me. I will raise the child and keep him forever”, he said. Gudiya was married to Arif in 1999, 10 days before the soldier was called on duty to Kargil. Arif failed to return from the war and was declared an Army deserter, until the authorities realised that he had been taken prisoner of war and was in Pakistan. Meanwhile, Gudiya, who had been told that Arif was dead, had married Taufeeq, a close relative. She was pregnant when, Arif came back from across the border in 2004. He said there was no tradition in Ayurveda of using human bones in medicines and there was no question of such ingredients being used by the pharmacy at his ashram. He said Kasturi and Mrigshring medicines were prohibited and his pharmacy did not make them. 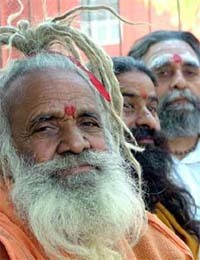 However, he said shells and beads were used in ayurvedic medicines and there should not be a dispute in the matter. On the issues of labelling and licensing, Swami Ramdev said while ingredients were mentioned in case of patented medicines, name of the medicine and reference in the text was mentioned in case of classical medicines according to the provisions of the Indian Drug and Cosmetics Act 1940. He said Mrs Karat had not followed the process of taking samples of medicines and had made baseless allegations against him. Swami Ramdev said the Centre’s spending on Ayurveda and other ancient systems of medicine was a mere 3 per cent of its health budget while 97 per cent was spent on allopathy. “I have been reading from childhood that some ayurvedic medicines contained such things, say for example deer horns,” he said while commenting on the allegation that Swami Ramdev’s medicines contained animal remains. Meanwhile, Swami Ramdev, who is conducting yoga classes here for the past couple of days, today said a Hyderabad- based laboratory had found nothing wrong with the samples of his medicines. He said the government should grant more funds for the development of ayurvedic medicines. This is the second time in succession any tableau proposed by Bihar had failed to secure the approval of the ministry. Last year too Bihar could not make its representation in the parade. The model sent for the approval by the state information department sought to depict women offering “arghaya” at Chhath festival. The Information and Public Relations Department Minister, Mr Arjun Rai, said the refusal reflected the anti-Bihari mindset of the UPA government. It is learnt that after his return from Hyderabad the Chief Minister, Mr Nitish Kumar, is expected to take up this matter with the concerned ministry at the Centre. Sources in the information department said although the ministry verbally communicated the rejection of the tableau, it was yet to send the official communication. The ruling Congress today launched its election campaign in Assam assuring the minority community that all protection would be provided despite the scrapping of the Illegal Migrants (Determination by Tribunal) Act (IMDT) by the Supreme Court. Barely a few months ahead of the Assembly election, the Assam unit of the Congress organised a mammoth “Sankalpa Samaroh” where senior leaders, including Defence Minister Pranab Mukherjee and Union Minister Santosh Mohan Dev, assured the minority that there was no cause for worry. Talking to newspersons here last night after meeting leaders of political parties and groups, including DMK chief M. Karunanidhi here, he said India, having cultural and ethnic links with the island Tamils, had the responsibility to resolve their problems. India could no longer treat the issue as an alien one, as it had a greater responsibility in resolving the crisis than countries like Norway, which had initiated peace talks and the USA, and Japan, which offered to help to find a solution to the issue. Under the present circumstances in Sri Lanka, where an undeclared war had broken out between the LTTE and Sri Lankan forces, India should assert itself and directly involve itself in the peace talks. If India and Tamil Nadu failed to respond to the present situation and help the Tamils in finding a solution to their problem, they would be committing a historic blunder, Mr Chandrasekaran warned. Some religious schools double up as shelter places for terrorists in Bangladesh, which has been a traditional transit route to Pakistan for them since 1995, revealed one of the conspirators of the IC-814 hijacking. Abdul Latif, who was arrested by the CBI, has said in his statement before the investigating agency that he had gone to Dhaka way back in 1995, where he contacted Faizullah, a militant who was working as the principal of a madrasa in Mohamadpur. Giving a complete insight into the entire hijacking conspiracy, Latif, whose statement has been submitted before the sessions court in Patiala, said during his stay in the madrasa, he had met two more Pakistani militants — Akhtar and Abdul Rehman, who were injured while “fighting” in Kashmir and were on their way back to Pakistan. In what could also be termed as connivance between the militants and officials in Bangladesh, Latif said after 15-20 days, Faizullah had given him a Pakistani passport as well as to the two other injured militants. Latif, along with the two militants, left for Karachi by a Pakistan international flight and upon his arrival in the port city, was sent for training to Khost in Afghanistan, the statement said. After extensive training, Latif came to Kathmandu in April, 1996, on a Pakistani passport, where the travel document was handed over to ISI agents, a woman in this case who runs a beauty parlour in a hotel in the Nepalese capital. In his statement, Latif also mentioned about his visit to Srinagar and Deoband in Uttar Pradesh during 1996-98, where he claimed that he met several top-ranking militants of the Harkat-ul-Mujahideen (HuM). Inaugurating the NCC Republic Day camp here today, he said it was sheer paradox that “despite there being age old traditions of morality and ethics in our country, there has been such a steep decline in our value system”. He stressed the need of building a strong national character. He said despite having spectacular achievements in agriculture, industry, defence, space, atomic energy and IT, the country was struggling with the problems of poverty, unemployment, illiteracy and disease. “The youth are our most valuable resource. How the nation tackles the challenges and marches forward in the decades ahead will depend much on you, your strength and courage, discipline and dedication,” he said. Stating that the role of youth in national development cannot be overemphasised, Mr Shekhawat said there was great need for the youth to develop a social temper for shaping the society’s future direction. “No doubt, personal well-being of an individual is important but the lasting happiness will come only when the society, at large, is happy,” he said. The Vice-President was given a guard of honour by an NCC contingent comprising cadets from all three wings — the Army, Navy and Air Force. “Detailed guidelines have been put in place for home-stay and timeshare as also to regulate guest houses...,” Additional Director General (Tourism) Rajeev Talwar said at a meeting of the Indian Association of Tour Operators (IATO) here yesterday. “There are so many farm houses and big houses in posh localities which can also be used for the purpose” of housing domestic and foreign tourists,” he said. The decision came after the tour and travel industry made repeated representations to the government seeking creation of more rooms to accommodate the increasing tourist traffic. The country received 3.8 million foreign tourists in 2005. With the conferring of the honour on Banerjee by the body recently, he joins the club of former President Shankar Dayal Sharma and former Chief Justice of India M Hidayatullah, who had been bestowed with the honour from India. The other distinguished personalities from abroad conferred with the honour include British Prime Minister Tony Blair, former premier Margaret Thatcher and Sir William Henry Davis. Lincoln’s Inn, established in 1422, is the oldest of the four Courts in London. In the initial years, St Thomas More, Lord Chancellor of England joined it in 1496, while famous poet John Donne had written his poem “For Whom the Bell Tolls” when he was its Preacher in 1624. This is one more feather in the cap of Banerjee, who got his LL.M degree from Cambridge University after getting his bachelor degree in law from Allahabad University. In his 50-year career at the Bar, Banerjee, conferred with Padma Vibhushan last year, had dealt with several international arbitration matters and various sensitive cases within the country, including the infamous Beef Tallow case, Quran case and the Ayodhya dispute case. His recent notable success was clinching of the controversial Dabhol power project case in an arbitration in London. In a letter to chief ministers, Finance Minister P. Chidambaram has outlined the need for legal and institutional reforms which include amendments to the state cooperative Acts by the state governments and amendments to some legislations by the Centre. The Centre has already approved Rs 13,600 crore package to revive the short-term credit cooperative societies and is considering another Rs 5,000 crore for reforming the long-term cooperative societies. The minister has emphasised that some amendments were required to ensure that NABARD and the RBI were empowered to regulate cooperatives who adhere to norms like maintaining a minimum capital adequacy of nine per cent. Veteran Marathi poet Vinda Karandikar has been chosen for the prestigious 39th Jnanpith Award. The selection board, headed by Mr L.M. Singhvi, which met yesterday, decided to confer the award on 87-year-old Karandikar. A release by the Bharatiya Jnanpith said Karandikar was perhaps the most experimental and the most comprehensive of modern Marathi poets. 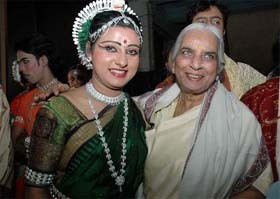 It said as an essayist, critic and translator, Karandikar had very significant achievements to his credit. “A long creative life, full of worldly struggles and ceaseless in its search for aesthetic perfection, is at the back of this achievement,” the release said. A 72-year-old German woman was found murdered in her flat at the Koregaon Park area in the city last night, the police said. The body of Dr Gudarun Koravinos, who was done to death, probably a few days ago, was found with her head missing, the police said. The unidentified assailants, who had killed her with sharp-edged weapon, had taken away her head with them, leaving her torso behind which had got completely decomposed, the police said. The Justice G.C Garg Commission of Inquiry, looking into the police lathi-charge on Honda workers in Gurgaon in Haryana, held its hearing here today. The workers' counsel moved an application urging that the depositions of the government witnesses should be recorded first on which Justice Garg reserved his decision till January 16. The workers' counsel also made a plea to the Commission to fix Delhi as the permanent venue for its hearings as the workers found Chandigarh to be too far from Gurgaon. Earlier hearings of the Commission had been held in Chandigarh. The Justice Garg Commission of Inquiry was set up by Hooda government to inquire into the police lathi-charge on workers of Honda factory. The Aligarh Muslim University (AMU) today said that it would appeal against the judgement of the Allahabad High Court, scrapping its minority status even as several social organisations favoured a political solution to the issue.